5 Easy Steps You can Take Today to Protect your Children's Future | The Kaiser Law Firm, P.C. None of us want to think about the unthinkable, that something would happen to us and our children would be left as minors to make their way in this world. 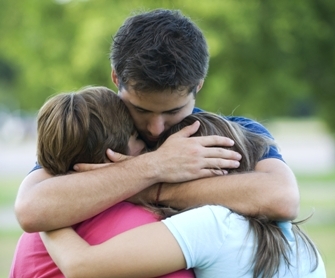 Luckily there are some very easy and practical steps that you can take TODAY to help ensure that if anything did happen to your family – your children would be left in the best possible situation. Ideally this would be done as a part of a comprehensive estate plan – in a will and in a power of attorney. However, it can be done as a standalone document, or any combination of the above. Verbal communication is not enough as a verbal nomination carried no legal weight at all. If you fail to communicate your wishes in a legally binding, written document, you are placing your children in a situation in which family members may have competing priorities to be the guardians. The state will ultimately decide who raises your children. Legal documentation is particularly important if you would prefer that a friend care for your children, as courts will almost always choose a family member over a friend. In an emergency – it is possible that if no adult has clear authority to have custody of the children, that the authorities would place the children in protective custody – a foster home – pending a court hearing. The last thing that any parent wants to happen is for the police to show up at your house and find your children with a caregiver who does not have legal authority to stay with them, and does not have any idea how to contact someone who does have such authority. In the event that happens, the police have no choice but to call in Child Protective Services. Always leave instructions on Who the caregiver should call in the event of an emergency. That can be your potential guardians – or another trusted adult who ca come immediately and who knows who the ultimate guardians would be. Many parents say, "we have not made a plan because we can’t decide who should be guardian." Regardless of whether you make a plan, the State has a plan for you and your children. In many cases, the State’s plan is not the plan you would choose. Almost everyone has a family member they know they would NOT want to raise their children. Imagine if that was the person the Court appointed to raise your children! And, even if you would be okay with any member of your family raising your children, imagine the strife that could occur when more than one family member comes forward insisting they are the right person. Don't let your reluctance to make a decision turn into a decision that you don't want. Anything you put in place is going to make the worst situation in the world a little more tolerable for your children. Don’t get hung up on trying to select the “perfect” choice. Many people jeopardize their children’s future by thinking they do not have assets and therefore do not need to plan. Regardless of whether you have significant financial assets, if you have minor children, you need to consider who would raise them if you could not. If you have any assets at all, you need a plan to ensure that the right thing happens to your assets in the event of your death. Even if you feel that you do not have many assets now, there is the receipt of Life Insurance or Retirement Account type assets after death that should be taken into consideration. Too many families consider insurance a waste of money, but do not have enough in savings to care for their children in the event of an emergency. Do you want your children to attend college? What kind of lifestyle do you want your children to have if you can’t be there to financially support them? You can easily “create” an estate and create funds to help provide for your children through life insurance. If you have assets that need to go through the court process called probate upon your death, you might want to put your assets in a living trust. In Missouri an estate of $40,000 GROSS Fair Market Value is all that it takes to trigger probate. Probate is expensive, complex, time consuming and inconvenient -- probate will cost your estate approximately 5 percent of your gross assets, and will take a minimum of 12-16 months in the state of Missouri (other states may vary.) Also, the information in a probate file is open to the public. While the general public likely does not care about the value of your estate, predators care if your children are to receive substantial assets when they turn 18. If your estate has to go through probate, you are also guaranteeing that the portion that will belong to your minor children will have to be managed through a Guardianship of the Estate. This will be an ongoing probate court case that will last until each child turns 18. Then, by law, each child will receive the remaining sums. Up until the age of 18 the Court will decide what the Guardian of the Estate can and can’t use the monies for. Many young adults who receive an inheritance upon turning 18 often use the money less than wisely, buying fancy cars or taking friends on vacations. If your estate goes through probate, you control neither the age at which your children receive their inheritance nor how they spend it. Setting up a trust for your children allows you to control at what ages and in what manner they will receive their inheritance. You also control WHO gets to manage it prior to the age at which you selected it be delivered to them and you can dictate HOW that many is used – not the courts. For help with this process, or for more detailed information don’t hesitate to call our office.